Interested in learning more about our home inspector? Call us at 503-864-5552. 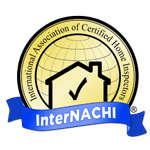 We’d be happy to go over our credentials or discuss your home inspection needs. When you need a quality home inspection, reach out to PRM Inspections And Services. Our home inspectors have years of experience and will make sure your dwelling is structurally sound. Mold poses a major threat to your family’s health. Don’t take any chances—bring in PRM Inspections And Services for mold testing. We’ll identify any hidden dangers and recommend an effective solution to your mold problem. Unsafe levels of radon can jeopardize your family’s safety. PRM Inspections And Services will make sure your radon levels are safe with our radon inspection and testing services. Click or call to learn more. PRM Inspections And Services has years of home inspection experience and can handle all of your inspection needs. You don’t have to take our word for it—click here to check out reviews from our happy customers. Think you’ve found your dream home? Pull back the curtain before you buy via scheduling a home inspection. PRM Inspections And Services will make sure you know exactly what lies beneath the charming exterior. We are able to preform a buyers or sellers home insoection. Our team has decades of experience in residential construction, so you can trust us to provide a thorough home inspection. We’ll leave no stone unturned during your inspection. Schedule an appointment with PRM Inspections And Services by calling 503-864-5552. We’ll carefully go over all of the above and more to make sure your dwelling is safe. If we find any problems, we’ll include them in our detailed report. Contact PRM Inspections And Services to jump-start the inspection process. Are hidden dangers lurking in your home? Your house may look bright and orderly, but that doesn’t exempt you from the threat of mold or high levels of radon. PRM Inspections And Services based in McMinnville, OR and serving Salem, OR offers mold and radon testing and inspection services that will alert you to harmful levels in your home. We’ll take air samples from several rooms and send them off to the lab for testing. If we discover high levels of harmful mold or radon, our team will alert you immediately. Reach out to PRM Inspections And Services today to learn more about our mold and radon testing services.